Barry's Professional Cleaning offers the services listed below. Feel free to contact Barry with any special needs or questions. We will clean your carpets according to carpet manufacturers’ specifications. This specified cleaning is required to keep your warranties intact. Hot water extraction is the method required by manufacturers of residential carpet. We are also trained in other cleaning methods. Each method has it’s advantages and disadvantages. Unless otherwise requested, I will use the manufacturer’s recommended method. We stay up to date on the latest industry equipment and cleaning techniques. For your home, we use the most effective and safest cleaning solutions availiable. 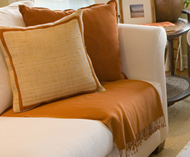 We are confident and skilled at cleaning fine and delicate upholstery fabrics. We can safely clean cotton, rayon, wool, silk and all of the synthetic fibers. We will pre–test the fabric and advise you on what can be safely done and what results you can expect from the cleaning. The durability and condition of the upholstery fabric will determine the method and approach we will use for cleaning it. Window Coverings: All Fabric Shades, Roman Shades, silhouettes, luminettes, duettes, vertiglides, and more. We have On-site cleaning or pick-up and delivery, take down and reinstall. 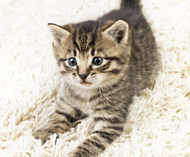 Protector: The fabric protection on both carpet and upholstery will wear off due to use. Protector can be applied immediately following the cleaning. I use the best and safest products for the carpet and upholstery being treated.